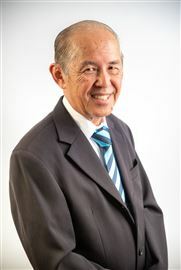 Dexter Prack has personality, experience, local knowledge and proven negotiation skills to achieve exceptional results. Specialising in the Waverley area, his 18 years of industry experience are backed by a friendly approach that puts buyers and sellers at ease to produce a stress-free sales experience and the best possible outcome. A local resident himself his passion apart from real estate includes golf, snowboarding, fine dining and spending time with his family and friends. As a director, Dexter understands the importance of the right mix to create a winning team and of leading by example. “We’ve got the ideal combination of youth and experience here with the common thread being a shared passion for real estate and a commitment to delivering on what we promise.” A leading agent and exciting Auctioneer in the Waverley area, Dexter's friendly and approachable manner will help to guide you through the sale process and his boundless enthusiasm and energy will guarantee the highest price for your property. Officer in effective control With over 22 years experience in all facets of real estate, Lou has seen the market move through numerous peaks, trough and phases. During that time Lou has collected a wealth of experience and expertise and co-created a successful suburban real estate agency. Lou’s business philosophy is aimed squarely at quality service and high standards with a focus in client care. He is committed to ensuring clients receive the most sophisticated and successful approach to residential real estate available in the fast and ever changing market of today “Real Estate is my life’s work and it continues to be an exciting challenge to meet the needs of our customers”. 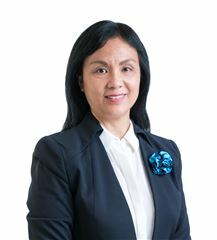 Jenny Gao’s entire focus is on achieving great results for her clients, whether they’re aiming to buy or to sell in the real estate market. 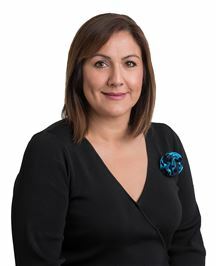 With many years in sales and marketing behind her, as well as a deep and growing understanding of the Glen Waverley area, she loves nothing better than working closely with her clients to ensure they come out on top. 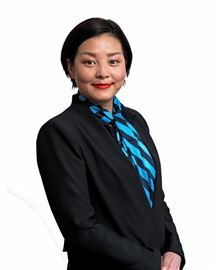 “My Aussie in-laws tell me they see me as someone prepared to put in the hard work to succeed at whatever I do,” says Jenny, and she adds, “I’m certainly committed to getting the absolute best outcome in any real estate challenge I’m presented with.” Before venturing into property, Jenny Gao was a highly successful sales and marketing professional in her position as Director (Sales and Marketing) for Time Out, Beijing Magazine (English Version), for which fluent English and Mandarin were obvious necessities. 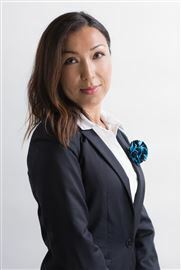 Her language and organisational skills are among the strengths she has brought to Harcourts, where she has built a solid client base and an enviable local reputation. Jenny is a proven performer, even under pressure, and is known for her ability to successfully negotiate to her clients' benefit. She carries out her work in a professional, honest and caring manner and she places respect, both with co-workers and clients, at the core of everything she does. “I enjoy communicating with people and helping them find a solution whenever they need my professional help,” says Jenny, and it shows. She always goes above and beyond expectations when it comes to customer satisfaction. 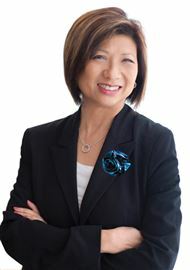 Joan, who came to Australia from Singapore in the ‘70s, has a successful business background in the healthfood industry coupled with a fine track record for achieving outstanding results in real estate sales since 1997. Real estate, Joan says, is all about working with people, not selling bricks and mortar. Joan has never lost sight of the fact that any real estate transaction, regardless of the location, size or value of the property, involves the most important decisions people make during their lifetime and works closely with them through this often stressful time. A good listener, Joan’s warm nature and friendly approach have contributed significantly to the reputation she has earned for being one of the most professional and successful real estate agents. As a member of the professional and international Harcourts brand, Joan is able to offer her clients the most advanced resources in the industry and to consistently develop her own skills through the company’s excellent training. Joan’s primary objective is to present the best skills and support services available in real estate today to assist her clients in achieving the best results. 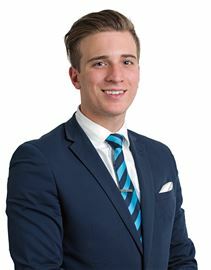 Kel is a fully licensed Real Estate Agent and Auctioneer, a Fellow with the Real Estate Institute of Australia, a member of the Real Estate Institute of Victoria. 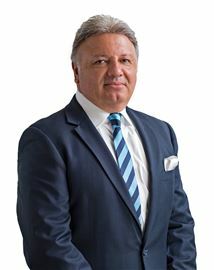 After a most satisfying 44 year career in Real Estate which started out in Mount Waverley, spanning areas of Principal, Auctioneer and Industry roles through the Real Estate Institute, he is regarded as a highly professional, ethical and most successful Real Estate Agent. He has auctioned thousands of properties, locally and on the Gold Coast; from subdivisions to residential properties to the value of million’s of dollars, plus luxury penthouses and commercial properties. As a partner in the original N.R. Reid & Co with Noel Reid, when it was at the forefront of development in Waverley. Kel knows the value of the area very well and has been involved with some of major projects that have seen the city of Monash develop into a major city in Victoria. 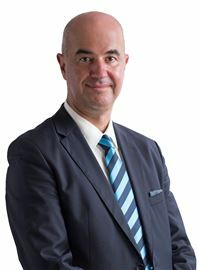 He has worked with the great names in Melbourne Real Estate, and has trained and worked with many of the leading agents now currently operating throughout Melbourne. Kel finds the changing pace of Real Estate stimulating, and is an advocate of this fascinating and rewarding industry, which he is proud to be apart of. He specialises in the sale of property by Trustees and Families. He with Harcourt’s Judd White are the nominated agents in the city of Monash for the State Trustees Ltd. He understands the need for sensitivity and patience, and listen’s to his client’s requirements and instructions. 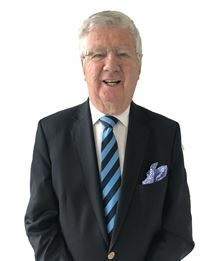 Kel has made many friends through the business, who knowing his fine reputation have confidence to rely on him for advice and who also refer many clients to him. Kel is totally committed to the Real Estate profession and can be relied upon for Professional and practical advice, and for his expert Auctioneering, Sales and Marketing skills. His experience and knowledge of the area is invaluable to his clients when the time comes to make their decision on buying or selling Real Estate. He would be happy to become your personal Real Estate Agent. A highly respected, fully licensed (REIV) restate agent with a reputation for top results, Ken is well known in both the public domain and wider real estate industry. As one of the top agents in the country, Ken also has valuable international connections and access to a range of potential buyers. Ken, who also speaks Mandarin and Cantonese, has an ongoing partnership with a migration agent in China who refers many imminent migrants looking for a place to call home. They trust him implicitly and welcome his guidance with open arms, as do vendors seeking a potentially lucrative sale. Despite his extraordinary sales history, Ken remains down to earth. He has great respect for his clients and great awareness of the importance of their property transaction. Young, highly motivated and extremely competitive, Lucas Gentile delivers an outstanding, second to none service for his clients. Lucas is a local in the community and harbours a strong passion and commitment to the area as he has resided in Monash his entire life. With previous years in sales, and in marketing, Lucas has gained enough knowledge to know how to market each and every property in order for them to reach their full potential. Lucas brings a wealth of knowledge to the Harcourts Judd White sales team. Lucas is driven to serve, always having been commended for a diligent & trustworthy manner when dealing with clients on both sides of the market. People are Lucas´ forte, communicating the fundamentals and making the process seems like a Sunday coffee is a service not many can offer. Having a different outlook on life, from experiences all over, will only make this agent become a friend. With a big future ahead, and already achieving so much, Lucas is the future of Real Estate and will continue to grow and help his clients get the best result possible. Peter's commitment and dedication to ensure he adds 'value' to other people's time, whether they are selling or buying, has made him a very popular and approachable consultant in the Waverley area. 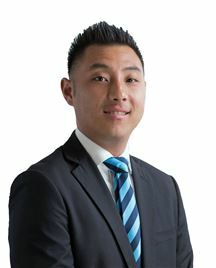 With over 12 years experience in real estate and multi lingual as well that includes Mandarin, Cantonese, Hakka and Hokkien, Peter's excellent interpersonal skills and professionalism has assisted him in being able to communicate with most clients who walk through the office. Peter migrated to Australia about 20 years ago, and started his career in the 90's in the House and Land Package division in Scoresby, which then soon followed a move to established homes in Springvale and the Dandenong Areas and then to the Waverley Area, which he has serviced for over 12 years now. His passion, charisma, great negotiation skills and 'friendly smile' is why people love to deal with him. Peter believes that if you cannot 'break the ice' with a client within 60 seconds then it will be very difficult to finalize any transaction. When not in real estate, and being on call 24/7, Peter loves to go fishing, eating out and spending time with his family and friends. If you would like a consultant who is approachable, commited and with a positive attidude, make sure you call Peter See today. With over 10 years experience in the industry, unparalleled reliability, & attentive approach to customer care ensure clients are very well looked after. Her attention to detail and hands on approach in the marketing & administration of campaigns, home preparation, vendor & buyer management to ensure the sales process is as streamlined & as successful as possible. 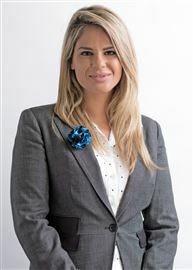 She has experienced all facets of the property industry including the day to-day management of trust accounting to the coordination of marketing initiatives, initially starting her residential real estate career with Harcourts Judd White in 2008. 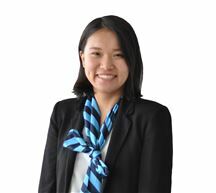 While she enjoyed an earlier career in a city agency that specialized in project development. 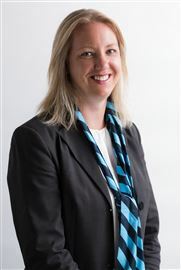 Now working with one of Harcourts' most successful offices Australia-wide, she hasn't looked back since. 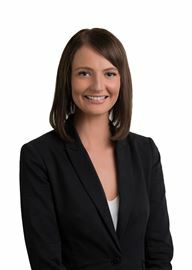 Highly organized and versed in all aspects of real estate, Tamara brings a valuable skill set to her role as associate agent at Harcourts Judd White. As Tamara puts it, “I’m always happy to go the extra mile. I get an enormous amount of satisfaction from helping my clients reach their property goals.” Warm and personable, Tamara’s communication skills are such that every vendor and purchaser receives constant feedback. 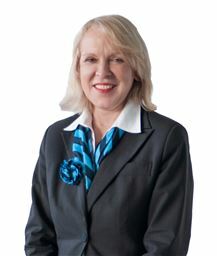 “I know how much clients appreciate receiving honest, transparent advice and I take pride in the reputation I’ve developed as a trusted advisor.” Tamara’s diligent, hard-working nature teamed with Harcourts leading resources and technology ensures that no stone is left unturned when it comes to the final sales result. An avid fitness fanatic and foodie in her free time, she loves the opportunity to meet new people, assist purchasers and sellers with their property needs and share her local knowledge of this wonderful, vibrant region. Her positive, honest and transparent attitude ensures that customers receive the focused attention they deserve when dealing with their most valuable asset. As Senior Property Manager in the real estate agency with the largest property portfolio in the area, Catherine is indeed a true professional – and a great asset to any landlord she comes into contact with. 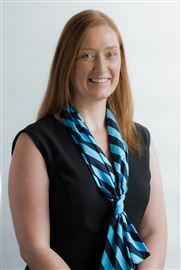 While the Property Management team, awarded the top Harcourts team in Australia, manages some 1,700 properties, it also comprises some 14 staff members, with Catherine pointing out that in-built structures are designed to ensure personalised, attentive one-to-one service and availability. Catherine brings a level of experience that is unfortunately rare in today’s property management industry. She entered the real estate industry in 2001 and, given her exceptional levels of customer care, won Best Receptionist of the Year in 2004. 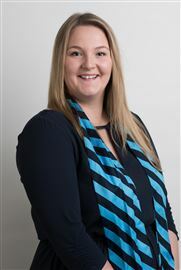 Her natural aptitude and training have since seen work her way to senior positions in offices in the northwest and southeastern suburbs, joining Harcourts Judd White Glen Waverley in 2008. Catherine was born, raised and educated in the area and knows it very well. She takes the responsibility of managing a landlord’s property to the best of her ability very seriously. Her excellent communication skills enable her to expertly liaise between landlords and tenants for ensuring optimal outcomes. She, along with the entire team, maintains a very strict arrears policy and pays the utmost attention to ensuring landlords’ properties are looked after and maintained well. Catherine loves the variety that each day brings, together with the experience of meeting and working with clients from different cultural backgrounds and from all walks of life. In her spare time Catherine enjoys spending time with her husband and two children and, in particular, making the most of the area’s many parks and recreational activities. 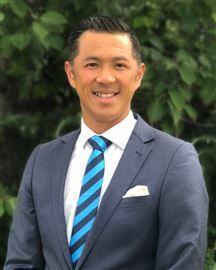 While David Yang is driven by a true passion and enthusiasm for real estate, his success in the industry is also underpinned by high-level training and extensive local experience. 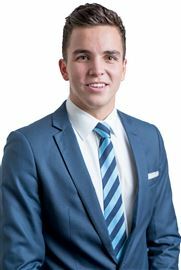 A fully qualified and licensed estate agent, David was born and raised in Glen Waverley and knows the region and its people well. 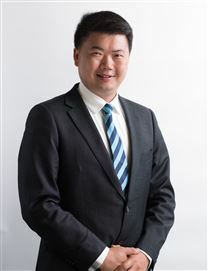 He also speaks fluent Chinese and, given the area’s multi-cultural community, is a highly sought-after and well-respected Property Manager. David is well-liked by both landlords and tenants, who appreciate his honesty and the fact that he takes much pride in every property he manages. Landlords can also relax in the knowledge that David, who has a network of well-established tenant relationships, carefully hand-picks tenants according to a very thorough selection process. “Matching the right tenant with the right property is key, both price wise and in terms of the property’s features,” says David. “This tends to create more successful, longer-lasting tenancies. Of course, we only lease properties to quality tenants whom we expect will take care of the property as if it were their own.” The multi award-winning Property Management department at Harcourts Judd White – under the direction of Lou Paola, REIV Property Manager of the Year (Principals), 2013 – comprises an unsurpassed team of experienced professionals with a genuine commitment to their clients’ best interests. Achieving Number 1 status for excellence in service, value and growth at both the state and national levels in 2013 also confirms they provide market-leading real estate services – and set the industry standards that others strive to follow. 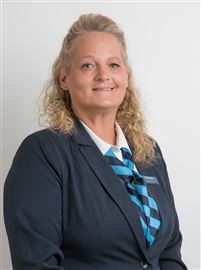 As a well-experienced Property Manager and Team Leader, Kristina provides a highly professional management service and maintains impeccable standards of client care. While professional excellence is simply part of her nature – and an integral part of the Property Management team’s office culture – Kristina also sets the bar high as an inspiring role model to her dedicated team of Property Managers. What also sets Kristina apart is her ability to work closely with clients to better understand their individual needs and investment goals. Working diligently on their behalf, she builds trusting, lasting relationships focused on success, as do her fellow team members. In fact, the success of the office – whose Property Management team has attracted numerous prestigious state and Australia-wide awards for excellence – is largely due to exceptional client feedback and high levels of repeat and referral business. They are also renowned for minimal arrears, minimal days on market and a focus on securing quality tenants for successful, long-term tenancies, rather than quick fills. Kristina keeps her landlords well informed of all relevant details pertaining to their property. 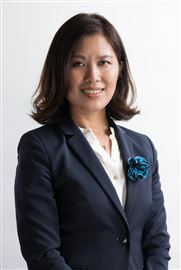 She and the team also work closely with the Sales Department for providing landlords with comprehensive, up-to-date information about the local investment market and maximising the profitability of their assets. Kristina enjoys being part of a highly-trained, success-driven team that views excellence in industry standards as the norm. Lauren is an energetic and dedicated person who has developed a mature and responsible approach to getting the job done and meeting clients needs. Understanding that an investment property is one of the biggest assets you can have, Lauren will ensure she manages your property with respect and professionalism at all stages of the leasing process. An asset to any landlord looking for Property Management that’s a cut above the rest, Steven combines extensive real estate experience, local knowledge, high-level qualifications and active personal involvement in the industry. Steven’s professional experience in the southeastern suburbs centres around Glen Waverley, where he has also lived for his entire life. A Fully Licensed Estate Agent, who also has holds a Certificate IV in Property Services, Steven knows and loves the area well. His passion for, and insight into, real estate also sees him personally involved in property development and investment, a rare pastime for someone of his age. First-hand experience, however, places him in an excellent position to identify with both the opportunities and challenges landlords face. An excellent communicator and mediator, Steven enjoys the people and problem management aspect of his role. “Minimising conflict and the quick resolution of disputes early in the piece is essential,” says Steven. “That then allows landlords to get on with all the benefits of their investment – and tenants to better enjoy their home,” he adds. Life is short – and our aim is to make the investment experience positive for all parties.” Steven enjoys meeting new people through his day-to-day work and has formed many lasting relationships. 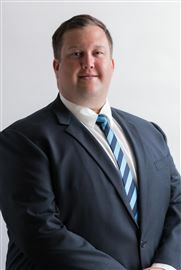 His knowledge of the industry and highly personable nature have also seen him develop a large network of colleagues and clients both locally, throughout the reputed Harcourts network and in the wider property industry. An avid cricketer, Steven is the Chairman of Selectors of the Glen Waverley Cricket Club and has also coached junior sides. He also loves golf, the AFL and the Carlton FC in particular. While Theary manages various senior responsibilities, she’s very clear about her main role: maximising landlords’ wealth and opportunities. It’s also the part of the job she loves most. Theary’s vast experience in the property industry in the southeast spans more than 15 years. 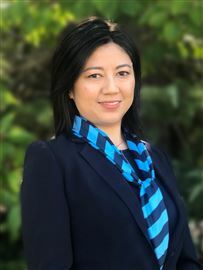 She has enjoyed a long, dedicated tenure at the multi award-winning Harcourts Judd White Glen Waverley, named Harcourts’ Number 1 Property Management Agency in both Victoria and Australia. Working together with Director and REIV Property Manager of the Year (Principals), Lou Paola, and a loyal team of highly experienced industry professionals, Theary takes her duty of care very seriously. “My clients have appointed me to look after what is often their most valuable asset,” she explains. “Honesty, integrity and effective communication are key to their success. 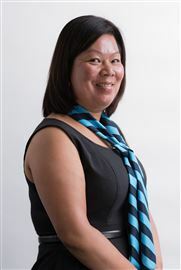 Deep insight into the industry and a good understanding of the Residential Tenancies Act are also essential for acting in landlords’ best interests and supporting them with the best information and advice.” Theary, who completed a Bachelor of Business Studies in New Zealand and also speaks Khmer fluently, oversees the rent roll and implements the policies and procedures essential for maintaining the industry-leading standards the team is renowned for. 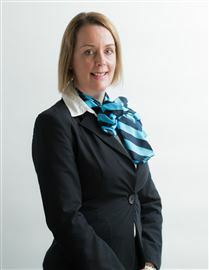 She also expertly handles dispute resolution and VCAT matters, valuations, accounts and general management matters. Outside of work, Theary enjoys charitable, pre-school and church activities, helping others, bike riding in Melbourne’s parks, and relaxing at the beach with her family. She plans to travel and see more of Australia too. Easy Living on 728m2 approx. The Ultimate In Family Living! Great Family Living in MWSZ! Generous Spaces Inside & Out! A True Land of Opportunity! The Heart of Rosewood Downs! Pure Bliss in Prime Location! Best buy in the GWSZ!